According to Inbound writer, on average, marketers spend over a quarter of their marketing budget on content marketing. This is most likely brought about by the fact that 61% of consumers express that they feel better about a company, and are much more likely to purchase from them if they can demonstrate strong and useful content on their online platforms. If you are already in the process of reading this blog, you are most likely within this high average of marketers, utilising the content marketing route in order to effectively reach your target consumers. 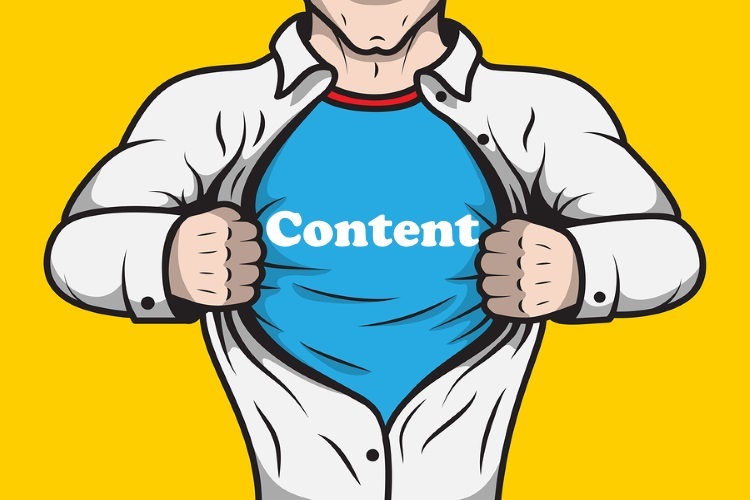 So here’s a fun fact for you; did you know that 90% of consumers find custom content useful, and 78% believe that organisations providing custom content are interested in building relationships with them? What you might not know however, is exactly how to make the most of these statistics; how to efficiently go about producing content that will engage your readers, and what mistakes to filter out. Content marketing isn’t solely focused around pushing content through your platforms in a regular and scheduled fashion. It is about taking the time to produce content that will both gain the interest of a consumer, while pushing them to continue engaging with your brand. Before you start producing any form of content, you need to grasp a good understanding of why you are doing it. The top 5 content marketing goals in 2014 are brand awareness, lead generation, customer acquisition, thought leadership, and engagement. Ensure you know what your end objective is and how it will contribute to a conversion goal. Refer back to your marketing aims and objectives to ensure you can craft the content accordingly. In short, remember that your content is all about fulfilling your end user’s needs, in turn, increasing click through rates and ultimately increasing purchase likelihood. This being said, ensure that you aren’t spouting out random posts that are of no interest to your consumer. 73% of consumers get frustrated by irrelevant web content. Know who you’re talking to and what makes them tick so you can ultimately plan the correct style of content that you know will produce engagement from your consumers. This can be done easily through the use of a content calendar. Online content is not a form of personal selling! Consumers aren’t looking to your blog posts or YouTube channels to be aggressively sold to and pushed to make a purchase. Too much selling is proven to drive customers away and refer them to a competitor brand. Customers are looking to content for either information, entertainment or implementable and useful content. Jeff Odgen put it perfectly when he stated: “as you envision and create content, the key is to position yourself not as a salesperson, but as a valuable resource”. Advertising and content are two completely separate mediums, thus should be treat as such. Great ways of overcoming sales pitched content is to maintain the focus on the consumer, NOT the business. Referring back to the first point, make sure you know what your customers want, whether this be a how to piece of content, or a video providing entertainment. Content marketing isn’t something that should be brushed off and quickly finished in order to move onto other projects. 57% of marketers report custom content is their top marketing priority for 2014. This figure should be much higher! Website conversion rate is nearly 6x higher for content marketing adopters than non-adopters (2.9% vs 0.5%). As well as this, B2B companies with active blogs currently generate 67% more leads per month than non-blogging firms. Looking at these statistics, it is safe to say that content should be made a top priority. Red Bull are a great example of a successful company that really taps into their target consumer’s personality and invests heavily into online content. Red Bull have identified exactly who their target audience is, and produced extreme content reflecting that personality. For example, the essence of their video content is based around extreme sports and going to your limits. This conjures up the image of the product perfectly, as both the content and the product elicit excitement, energy and overcoming challenges. Moz.com provide a perfect article discussing how Red Bull have taken content to the next level. Not to be mistaken with a sales pitch or heavy advertisement, the majority of content posts should include some form of call to action. This doesn’t mean adding a buy now option. It means you should be providing your user with access to the next step. For example, if they were interested in a particular post, that tells you something about what they like so point them in the direction of similar posts using a link. Take this post for example; I am now writing about mistakes people make within content marketing. I could now provide a link to an e-book that demonstrates exactly how to produce strong content – I won’t, because this is just an example, but highlighting such a link would demonstrate a call to action that is also beneficial and of interest to the reader. Writing for your blog or posting a video on YouTube are great ways of increasing brand visibility and provoking interest from a consumer. However, it is vital to ensure that your content is not restricted to the one channel that you created the content on. Having static content that only shows on your website or a singular social channel is drastically limiting the amount of potential views that content could receive. All these social channels, and more, offer a great opportunity to expose your content to millions of users. Ensure that you do not make the mistake of not sharing your content through these platforms or your content could suffer. I would suggest using Hootsuite as a method of posting across each of the platforms. So there you have it; 5 key mistakes to avoid when producing content. Remember that strong content is an ongoing process and not something that can be finished and swept under the rug. So before investing into content production, make sure you are eliminating these mistakes!